Product #21710 | SKU NAHDMI-W-B | 0.0 (no ratings yet) Thanks for your rating! 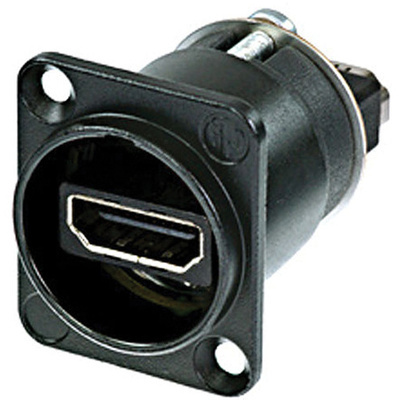 The HDMI 1.3 Feed Through Adapter D- Shape Housing IP65 (Black Chromium) from Neutrik is used to transmit any digital TV and PC video format, including high definition video. It can easily be integrated in networks.